Transit Time – Jupiter transits through a sign in about 13 months time, which is considerably big time in comparison to other planets except Nodes and Saturn. Mahadasha/Antardasha – Person will be most impacted by Jupiter’s transit if he is also under Jupiter’s Mahadasha or Antardasha. Jupiter’s Dignity – First important thing to see is Jupiter’s dignity in Birth Chart. If it is well placed in Own/Exalted/Friendly Sign then it shows a strong foundation for Jupiter and Jupiter related things. Transiting Sign – Likewise, we have to be sure of Jupiter’s dignity during transit. If Jupiter is transiting through Own/Exalted/Friendly sign then good results are expected. House Ruler – One of the most important things is to keep in mind as to which house Jupiter rules with its signs Sagittarius & Pisces signs in your chart. For Aries Ascendant, it will rule 9th house and 12th house but for Virgo Ascendant, it will rule 4th house and 7th house. Now, wherever it goes into transits, Jupiter will bring the energy of the house it rules in your chart. Like, if you are an Aquarius Ascendant then Jupiter rules 2nd house with Pisces sign and 11th house with Sagittarius sign. Both these houses relate with Wealth and Money factor . So, wherever it goes in transit, person will be feeling the energy of 2nd house and 11th house in transiting house. Like, Jupiter going into 8th house, person can have wealth coming into family through inheritance, other people and in-laws in those 13 months. Now, we are left with planets which have longer orbit and transit time. Hence, these planets are very important in making predictions. Jupiter takes about 13 months to transit through a sign. In between this time, Jupiter goes retrograde for about 4 months. So, these timelines remain the most potential times for making predictions. Jupiter is the most benefic planet among all. Even when it is Functional Malefic or inflicted/debilitated in chart, it is still able to bring some positive results. A well placed Jupiter is said to be an auspicious thing for whole chart. Jupiter going through a house or over other planets in birth chart/transit is an indication of something benefic coming your way in things related to that house/sign/planets. Last but not the least; understand Jupiter as Knowledge and Wisdom. In whichever house it transits and with or over whichever planet it transits, person becomes wise or knowledgeable with things related to that house or planet. Like, Jupiter going over Saturn may make you aware of your duties in this life, Jupiter going over Mars can make you aware of your right actions and Jupiter going over 5th house will make you Education Oriented. Like this, Jupiter is here to give you knowledge and wisdom. In 1st house – Person will be seen as extremely wise and learned person by others. He will think whether he is following the right life path or following his Dharma. He will think about things like purpose of life. This is time to get knowledge and higher education. A Guru can enter in life or you may be seen as Guru by others. In 2nd house – This time can be really good for family and wealth. Person’s wealth will increase. He may come to know new ways and sources of making money. He will be seen as Guru or Guide in Family. His speech will be like a very learned person. In 3rd house – Person will spend time learning some new skills or nurturing any hobby or interests. He will act like a guide to younger sibling. Person will learn about effective communication. Person will basically learn a lot during this time as Jupiter is in 3rd house of collecting information. In 4th house – This time can bring a big house or land property. Benefits from Mother and Home. Person will learn about Real Estate. He would love to stay at home. This shows peace of mind to person. Life will look great and person will be treated like a learned person in home or home land. In 5th house – This is time for Education. Guru will be in the house of Education, hence it is going to be time to educate yourself or you will be inclined to educate your children or children in general as teacher. This time can also see you as a counsellor. Overall, a knowledge focused year. In 6th house – Now is the time to learn and get knowledge about disputes, litigations and legal process. This time can also bring knowledge about debts and finances. Person may get into such circumstances where he may need to learn about 6th house stuff. It can be good time in job setup. In 7th house – This is time to focus on spouse and prosper your married life. Marriage will be blessed during this time. Additionally, person will learn about Business and connecting with people. This time can expand his business and reach among people. This is a good time for prospering marriage. In 8th house – This is a time when person wants to gain knowledge of occult, mysticism and hidden sources. He will also gain from other people and in-laws but main focus will be on gaining knowledge of Occult. This time will give the capability to dig deep into details and research about occult. Person may be safeguarded against any sudden events. In 9th house – Now, Guru is going to Guru. This is totally a knowledge oriented year. Person will learn about many cultures, philosophies and concepts. He will travel a lot and meet Guru. His horizon will be expanded like anything. He will think about purpose he is serving in this life and if his life is meaningful for society at large. In 10th house – Now, person will be seen as Guru at work. Colleagues will come to him for advice. He may become Counsellor or Guide/Mentor of a team at work. He will educate himself more to prosper in Career. Relation with Bosses and Father will improve manifold. Good time for Career Progression. In 11th house – This is time for earning. Person income will expand manifold and he will learn about new sources of income too. His income will increase mre so if he is working for social welfare and humanitarian causes. This is also good time to get benefits from elder siblings and network circles. You can be seen as Guru among friends. In 12th house –Now, person is looking for Spiritual Knowledge. 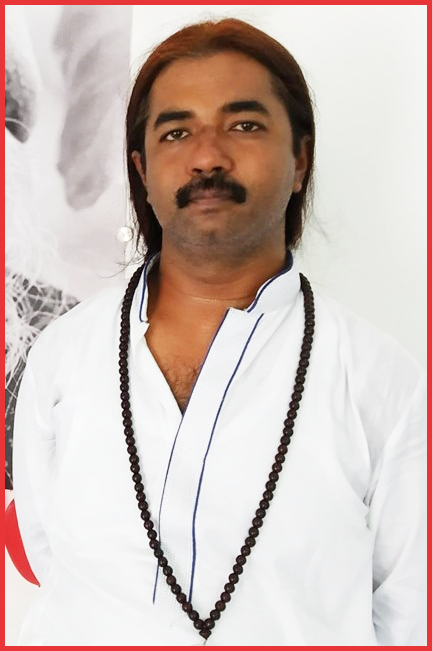 He is looking to connect with people in Foreign Lands or at Spiritual Places. Person can travel to foreign lands or his benefits from foreign lands may be expanded. He might be spiritually inclined and may get a spiritual guru. So, this is how Jupiter’s transits through all the houses may work but lots will depend upon dasha, dignity of Jupiter in birth chart & transit and planet it is transiting over.